G’day everyone, my name is Heath! 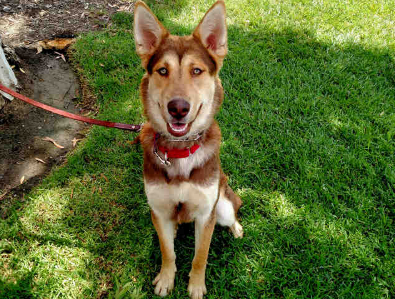 I am a male/neutered, Australian Kelpie and Siberian Husky Mix. I am only 1-year-old, so I have plenty of energy to go for long walks or run with my new family. I also like to play and romp around with other dogs my size and play in the pool here at the Shelter. If you would like to know more about Heath, please call the San Clemente/Dana Point Animal Shelter at 949.492.1617, or visit with him at 221 Avenida Fabricante, San Clemente.